Are you planning a holiday with your pet? Now you can carry pet along with your trip. Here is the list of top 10 pet friendly resorts near Delhi. The people with pets face a lot of problems while planning a tour. Either they can leave their pets in the pet care centres while going out for travelling. Or, they ask their friends and relatives to take care of their pets while they are away. The embarrassment of asking the friends and family for help; the anxiety that your pet might not be cared for properly at the pet care centres and a lot of other problems plague their minds all the time and if the pet fell ill, the situation worsens. 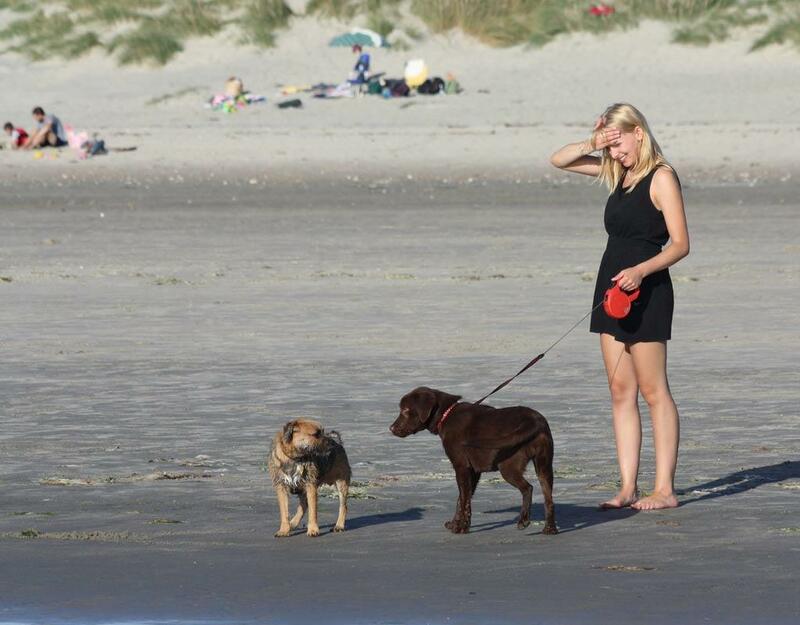 But now, the situation has changed a lot as the tourists with pets can find many lavish resorts that are pet friendly. The following post will enlist all the Pet friendly resorts near Delhi which will provide you and your lovely pet with all the facilities and assist you in enjoying a vacation with your pets. Vivanta is a Luxury 5-Star Business Hotel located in Gurgaon. It is the 100th hotel in the chain of prestigious Taj Hotels. Located in Sector 44, the hotel has all the luxuries and comforts of a five-star hotel. The hotel allows you to have your pet along with you in the room. The tourists will have to pay INR 3000 per pet. This cost may vary as per the length of your stay. One pet can stay in one room. The hotel has its own set of restrictions which can be read in the brochures and learnt by making a call at the property directly. The Fraser Suites is one of the 5-star pet friendly hotels in Delhi, near the District Center. Tourists are allowed to bring their pets with them. The tourists will have to pay INR 500 per pet for one day. Apart from that, the tourists will have to pay an early check-in fee as well as the late check-out fee. 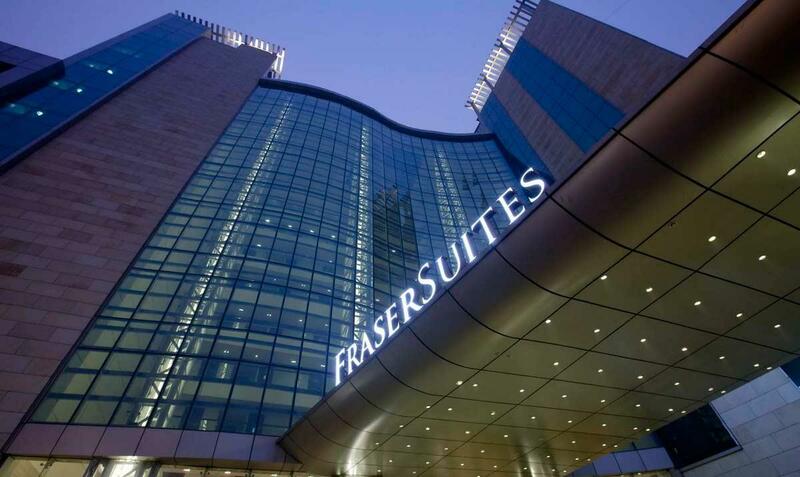 There are various tourist attractions near the Fraser Suites which you can enjoy. Another one of the most prestigious hotels in Delhi allowing pets, and belongs to the Taj, the hotel provides you with a world-class stay along with your pet. The hotel is so accomplished in terms of the services and facilities offered that you will never miss the comfort of your own nest and feel pampered with every single gesture. The charges to stay with your pet will be INR 3000 per day. The detailed enquiries can be made from the hotel reception as well as the hotel brochure which can be availed from the official website. Located in the East Patel Nagar of New Delhi, the Almondz Hotel is a 3-star hotel. Pets are allowed with the tourists and the hotel staff caters to the needs of the tourists as well as their pets. The extra charges of pet stay can be learnt from the hotel reception as well as from the customer service. The hotel provides rich comfort and lavish stay to the tourists as well as to their pets. The Residency Hotel is located in Sukhdev Vihar, Main Mathura Road, New Delhi. The hotel enjoys a 3.5-star hotel status and allows the tourists to bring their pets along with them. The pet friendly hotel allows the pets to stay in free. But with this perk, comes a restriction that only cats and dogs are allowed to stay in the hotel. The size of the pet cannot be more than 15 kg. And the hotel instructs that only one pet can stay in one room. Another Taj hotel in the Dwarka region of Delhi is another hotel that allows the tourists to stay along with their pets while touring the region. The charges for the pet stay in this hotel are also same as that of the other Taj Hotels. The tourists are required to pay INR 3000 for one pet for one day. The tourists can contact the property directly for more details or read the hotel brochure which is available online. Located in Vasant Kunj, New Delhi, Hotel VM Residency is a 3-star hotel which is another boarding option for the tourists that prefer travelling with their pets. The tourists are allowed to have their pets with them. The charges of the pet stay in this pet friendly hotel in Delhi can be confirmed from the reception area or the hotel brochure. Hotel Le Roi is located in Pahar Ganj, New Delhi and is a 3.5-star hotel which allows the tourists to have their pets with them. Le Roi hotel offers the comfort and luxuries apt for a 3.5-star hotel. You can get the details of the charges to be paid for staying with your pet from the customer care or the reception of the hotel. Located at just 10 minutes distance from the Deer Park, the Deer Park Villa is another one of the Dog friendly resorts in Delhi which are located in South Delhi. Allowing the pets with the visitors, the hotel has allowed the tourists as well as their pets to enjoy the environment of one of the greenest areas of the capital city of Delhi. The inquiry about the charges of having your pet stay with you can be done from the front desk as well as the brochure of the hotel. Located in the West Patel Nagar, Hotel Clark Heights is a three-star hotel. It is one of those good hotels that allow you to have your pets stay with you. The hotel charges no rent for the pets. The facilities are good and you can enjoy your stay without any problem of any kind. Confirmation of the charges and booking etc can be done from the reception. This completes the list of the best Pet friendly resorts near Delhi which the tourists can prefer for staying while travelling in and around Delhi. Useful Information. Really appreciate for sharing information about pet-friendly resorts near Delhi. Actually, I was searching for pet-friendly hotels in Delhi. Thank for this wonderful list of suggestions. It's quite hard to find Pet Friendly resorts and this list have definitely updated my bucket list. Baghaan Orchard Resort is also one such resort whose USP is that it's pet friendly resort along with other amazing property view and activities. It is definitely a good option for resorts nearby Delhi.